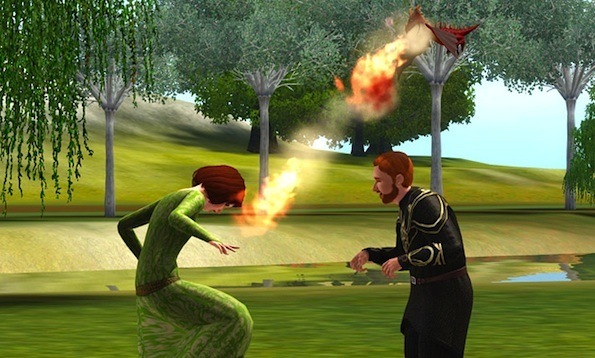 Because Game of Thrones is on tonight, here’s a look at the new Sims 3 Dragon Valley expansion. Anyone with eyes and ears can see that EA is cashing in on the GoT lovefest. Maybe it was the blonde short-haireed Khaleesi in the trailer, or the long-haired one in the promotional photo. Maybe it was the red and green BABY DRAGONS that singe your hair and paint you soot black. I just haven’t picked one up in awhile. I mean. There’s this thing called a console that tends to distract me.